“Hi my name is Che and I am one of the Veterinarians you may meet at the Pet Wellness Centre. 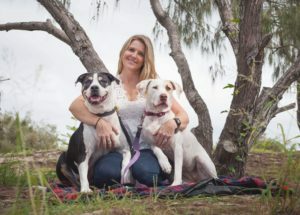 I graduated from the University of Queensland in 2004 with a Bachelor of Veterinary Science with First Class Honours. I later went on to obtain my memberships with the Australian College of Veterinary Scientists through examination in the medicine of Australasian Wildlife. In the early phases of my career a large portion of my time was spent as a Veterinarian in the zoo industry and I have worked as a vet for a number of Zoological institutions within Australia. I have treated all animals great and small from Elephants and Komodo Dragons to Geckos and Stick Insects!! In more recent years my primary veterinary focus has been small animals including dogs, cats, birds and reptiles. I enjoy working with companion animals immensely. My area of veterinary interest is medicine and I love putting all the diagnostic pieces together to obtain a diagnosis and create a treatment plan to get the best health outcome for your pet. 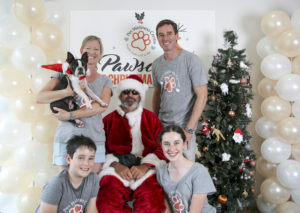 At home I have a very charismatic Boston Terrier named Wallace 😉 On my days off I love spending time with family and friends and getting out and about for a bush walk, swim or adventure. “Hi Animal Lovers! I’m Bella, Senior Veterinary Nurse at PWC. The love for animals in my family runs through generations, so I was born to live and breath animals. I have been nursing for 8 years now and I find no greater pleasure than helping animals big or small, feathers or fur! My nursing adventure started at a bird and reptile specialist which gave me great insight into species that aren’t domesticated like our dogs and cats. I then moved to a small animal practice and fell in love with the fur kind. There’s no saying whether I’m a dog, cat or bird person. I love all animals and give every species in my care the tender love and care they need. At home I live with my partner and our 7 year old daughter. We have 2 cats Loki and Ivar, as well as a cheeky Boston Terrier named Bjorn! 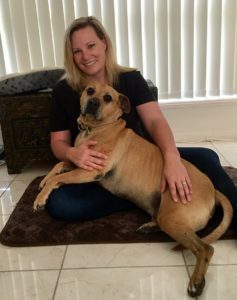 “Hi, I’m Cass and I am a vet nurse at PWC. I’m a lover of nature and of all animals. I’m glad to be part of the wonderful happy team at Pet Wellness Centre. I am totally dedicated to giving animals and pet lovers the utmost attention and care. I have had an interest in and love for animals since my early childhood. I grew up on a large rural cattle property within the New England region of NSW and it was here that I began my veterinary nursing career 15 years ago. Since then I have also had experience working in pet care and minding, RSPCA and animal welfare, animal administration and many years of hands on farming experience. “Hi pet parents and pet lovers! I’m Hannah a Vet Nurse Trainee here at PWC! I was lucky enough to grow up on a beautiful rural Property on the Far South Coast of NSW where I helped raise and care for a large variety of animals both large (horses, cows, sheep and goats) and small (dogs, cats, chickens, guinea pigs and birds) with many of these animals coming into our care as rescue or neglect cases, so providing love and care to all types of animals has always been a major love since my very early childhood. I am still a huge softy when it comes to rescues, having now adopted 2 fosters as permanent fur babies of my own, Meeko and Nala. In my spare time I enjoy being a volunteer Surf Lifesaver whilst training and competing in Surf Boat racing and spending time with Meeko and Nala at the beach or parks around the beautiful Gold Coast. “Hi all! My name is Madeline. I am studying to become a Veterinary Nurse and feel very proud to be completing my training with the team and patients of the Pet Wellness Centre. From a very early age I was surrounded by all animals, cats, dogs, birds, reptiles, amphibians you name it. My dad was a ranger and passionate about nature and our native wildlife and passed this passion onto me. I can remember always having a towel in the car just in case we came across an animal in need along our travels. Fast forward a few years and I now volunteer at Currumbin Wildlife Hospital assisting the Veterinary team in rehabilitating our wildlife. I knew this was something I enjoyed and had to pursue and now I have found my way to pWc. My partner and I have recently adopted a five year old ragdoll cat named Aspen. He warms the house with his cheeky personality and we could not picture our home life now without him. In my spare time I love to head to the beach for a refreshing swim in the ocean and lay under a tree or umbrella with a book. I also love capturing moments with family and friends, sunrises, sunsets, hiking in the hinterland, discovering new cafes and generally enjoying all the small things in life. “Hi everyone! My name is Laura and I am a vet nurse at pWc! My love for animals started when I was very young with my childhood best friend Jess, who was a Border Collie. Ever since then I have usually had a furry companion by my side. 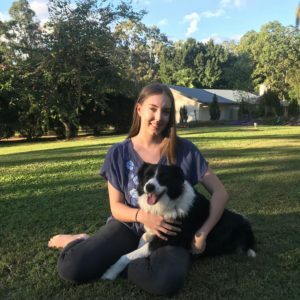 I started my vet nursing adventure in 2016, volunteering as a trainee vet nurse at Currumbin Wildlife Hospital. 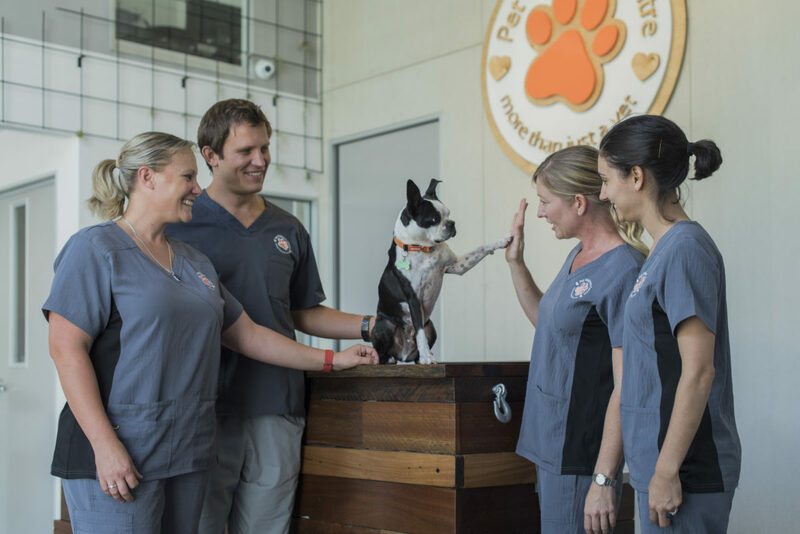 I then got a job as a fully qualified vet nurse in a vet clinic in Brisbane in 2017. My partner and I have a beautiful Border Collie named Eggy, who is such a sassy young lady. At the moment we are staying with my mother who has a bit of a tribe which includes; Daisy another Border Collie, Poppy the Pomeranian as well as Tom and Missy the cats. So, there is never a dull moment or a fur free floor! “Hi I’m Karen, I’m a long time Burleigh Heads local and I live here with my hubby Jason and three beautiful kids. 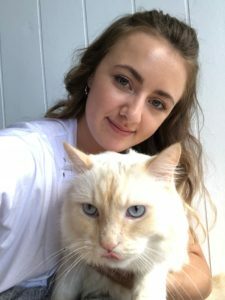 You probably recognise my face as the lady who talks to your pet every time you walk past! I was born into a family of dog breeders and learning to crawl surrounded by puppies left me no choice but to love pets unconditionally. This continued through my childhood of which I spent the vast majority working at the local dairy farm where I agisted my first pony. 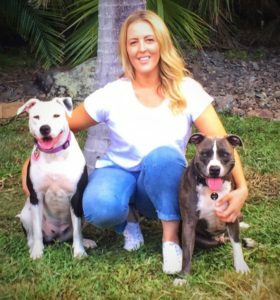 My love for animals continued through high school on the Gold Coast and I soon commenced work as a casual veterinary nurse whilst completing school. I then took a side step and studied a Science degree and Post Graduate studies in Psychology. I spent many years working with people who were recovering from mental illness. Pets played a major role in their treatment plan to get well whether that be walking the dog for exercise or partaking in mindfulness with their pets. Realising my husband would only allow me to keep four pets at home I had to find another way to play with and cuddle pets all day, hence I went and studied a Diploma in Animal Acupuncture Therapies. Now I can honestly say I have the best job in the world. 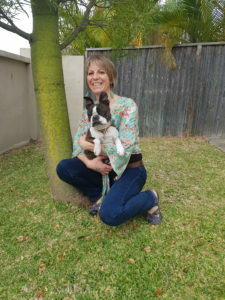 “Hello I’m Sandy and I am a physiotherapist who specialises with animals! I think I was always destined to work with animals and spent my upbringing with a dog (or two or three) in tow and in a paddock being followed by a herd of horses. 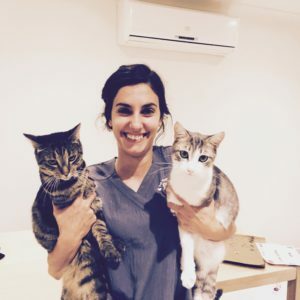 It was my love of animals and bad luck spent in the physio clinic, which sparked an interest in fusing a career as a physiotherapist with treating animals. 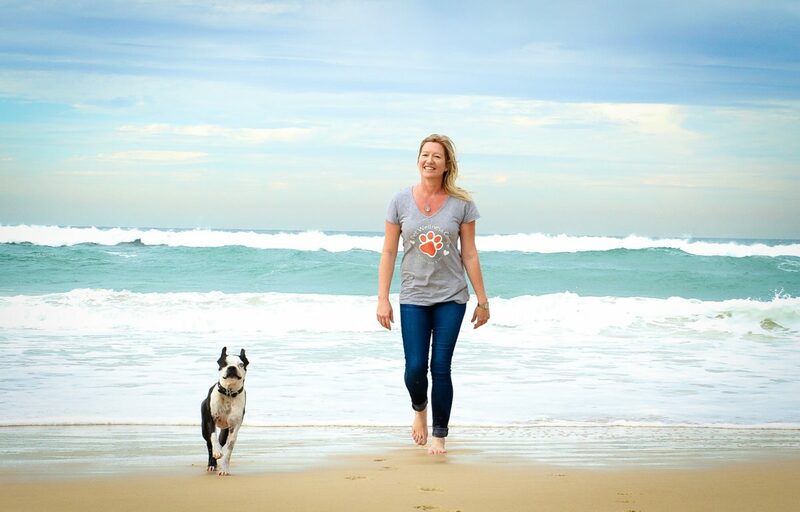 I started my journey by graduating as a physiotherapist in 2004 and honing my skills as a physio before completing a Masters in Veterinary Physiotherapy in the UK in 2008. 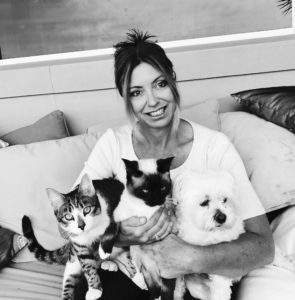 Over the years I have continued to work with people, dogs, cats and horses here and in the UK and Ireland but now prefer to spend all my time with our furry friends! I believe that animals, like humans, need the attention of physiotherapists to properly treat all their aches and pains, injures and more serious neurological conditions. I enjoy working closely with the vet and owner to provide the best treatment and rehabilitation programme for your pets. “I’m Cath and I’m the Chief Wellness Officer! I call myself Chief Wellness Officer because ultimately I’m responsible, not just for the wellness of the pets but also for the wellness of the team, the wellness of our supplier relationships, the wellness of our stock and products, the wellness of our business and our contribution to the wellness of our community! Phew! It’s a big job but with this incredible Team and all of the great supporters we have helping us in the background I know we can do it well. 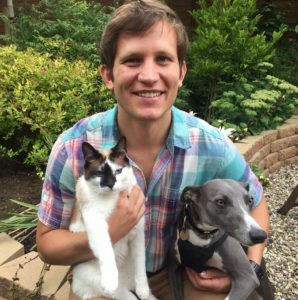 I believe pet care can and must continue to be improved. Our pets mean so much in our lives and they deserve the best care. I love animals. I grew up on the Gold Coast/Tweed Coast and we always had a house full of pets: dogs, cats, guinea pigs, native birds and chickens! My mum, sister and I all worked at Currumbin Wildlife Sanctuary when I was young and I used to go out rescuing birds and wildlife feeling like I was a hero. I even dressed up in the Lorikeet suit and ran around the bird feeding arena to entertain the kids! Yep, I love animals but it’s the bond between animals and humans and the impact that has on the wellness of both and the community that I’m really driven by. The little guy with me in the pic is BRAIN and he was the inspiration for the Pet Wellness Centre. Sadly we had to say goodbye to Brain on the 18th October, 2017 but his legacy lives on in the love and care that all pets receive in our Centre. Brain is succeeded by a very stubborn and cheeky little Boston named Harry, whom we adopted so that we can help him with his severe growth issues in his back legs. Harry and I love hanging out with my husband Baden and our kids Mariel and Bryce. Brain made our life better, every single day and now Harry does the same. I’m sure pets make us better people. 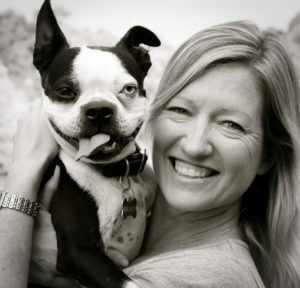 It’s my pleasure and honour to serve you and your pets at Pet Wellness Centre. Together, we can help pets live longer, healthier, happier lives!